A 2GIVE cryptocurrency paper wallet known as a Gift*Card was sold at a non-profit's silent auction. The Bitcoin of social tipping fetched a 250% premium over market value. Saint Paul, MN, July 25, 2016 --(PR.com)-- Strength in Numbers Foundation (SNF), the not for profit digital trust established by blockchain expert and serial fintech entrepreneur David Duccini is pleased to announce that the first ever 2GIVE paper wallet was sold in a silent auction held by Leech Lake Legacy, a non-profit animal rescue and wellness organization that serves Leech Lake Indian Reservation and surrounding communities in northern Minnesota. SNF donated a 10,000 2GIVE “Gift*Card" to the the Leech Lake Legacy’s annual “Lagers for Legacy” fundraising event held July 20th at Summit Brewing in Saint Paul Minnesota. A 2GIVE “Gift*Card” is a paper certificate containing both public and private key addresses that entitles the holder to redeem the value stored on the 2GIVE blockchain by importing it into their digital wallet. At the time of the auction, the USD value of the card was approximately $8 and bidding on the card was brisk with an opening bid of $1 and a winning bid of $20 representing a 250% premium over market value. 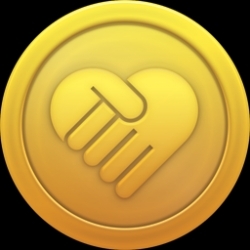 2GIVE is actively traded on the Bittrex crypto-currency exchange. “The 2GIVE gift was certainly the most unique item in the collection!” enthused, Leech Lake Legacy President Craig Berdan. “It was great to see so much support for the Bitcoin of social giving,” he added. The winning bidder, who wished to remain anonymous, did relay that he looked forward to holding onto the Gift*Card and planned on donating it to a no-kill cat shelter in the future, saying, “If the value trend with 2GIVE continues, the appreciation will make this a very generous donation. It is much more appealing than traditional gift cards, which lose value over time due to fees and legacy financial practices. It’s exciting to take part in the new financial economy."